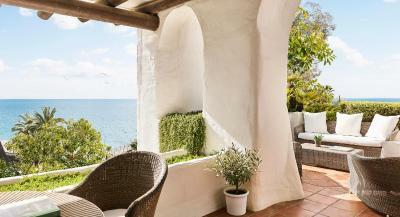 Lock in a great price for Marbella Club Hotel · Golf Resort & Spa – rated 9.4 by recent guests! Just nice. But nothing really special. Good parking facilities. Great atmosphere in the whole hotel and very helpful staff. And we’ve attended a sherry wine tasting activity in the hotel which was quite a fun! Very nice property. The management carefully chose our room for a special celebration as I requested. Thank you very much for that. 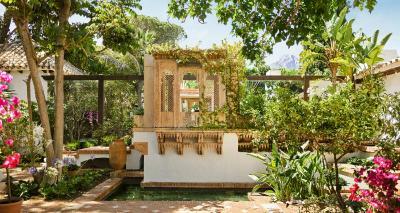 The gardens beautifully maintaned with several exotic trees and plants. Access to trhe beach is very easy with great service from the team. Everything about this hotel is fantastic, but particularly the service. Nothing was too much trouble for the staff. Marbella Club Hotel · Golf Resort & Spa This rating is a reflection of how the property compares to the industry standard when it comes to price, facilities and services available. It's based on a self-evaluation by the property. Use this rating to help choose your stay! One of our top picks in Marbella.This luxurious beachfront hotel, set between Marbella and Puerto Banús, has 2 luxurious pools and 5 restaurants. Surrounded by lush gardens with direct beach access, it offers 1 free green fee per person per stay at Marbella Club Golf Resort. 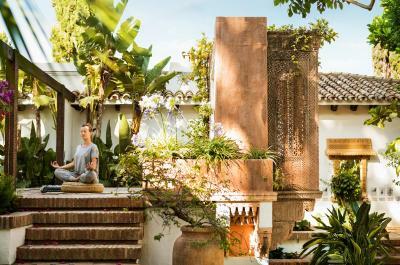 Featuring bedrooms with a private terrace and sea or garden views, Marbella Club Hotel was originally the private residence of Prince Alfonso von Hohenlohe, the founder of the hotel. 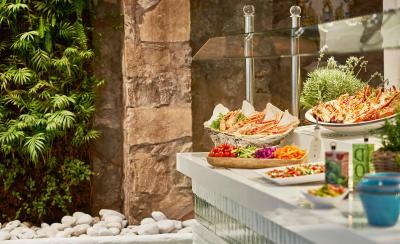 The property has 5 restaurants, serving International and traditional Spanish cuisine. Puerto Banús offers a wide range of designer shops, bars, and restaurants. The hotel provides shuttle service to Marbella Club Golf Resort. The 18-hole golf course was designed by Dave Thomas and offers views of the Mediterranean Sea and Africa. 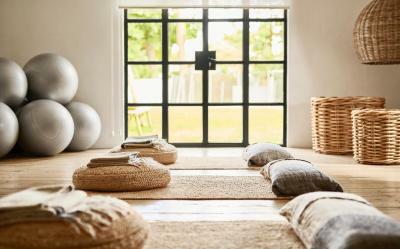 The property also features a Thalasso Spa with sea views, offering a range of treatments, including a sauna and waterbed. This spacious complex also features a Kids' Club for children. It includes a dance studio, music room, an enchanted forest, among many other leisure and educational facilities. 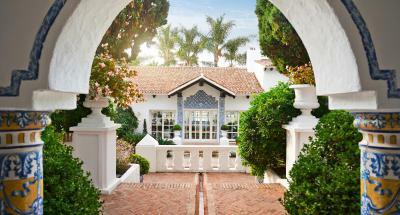 When would you like to stay at Marbella Club Hotel · Golf Resort & Spa? Located close to the hotel's restaurants, this spacious suite has a private terrace where you can enjoy views over the gardens. 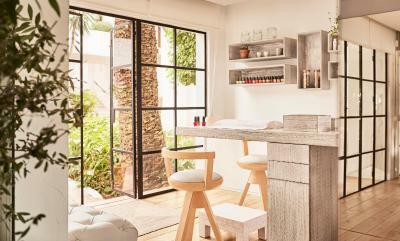 There is a seating area with an iPod docking station, free Wi-Fi, a flat-screen TV and a mini-bar. The marble bathroom includes Babor toiletries. 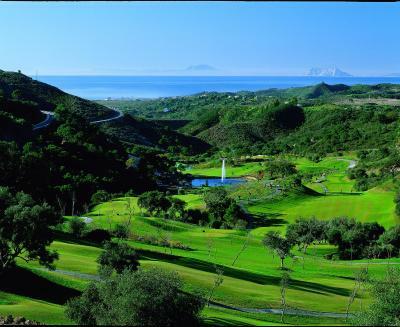 Guests can enjoy 1 free green fee per person per stay to be used at Marbella Club Golf Resort. Offering resort views from its private terrace, this suite has Mediterranean-style décor. The living room includes an iPod docking station, free Wi-Fi, a flat-screen TV, minibar and a Nespresso coffee maker. Guests can enjoy free green fees for use at Marbella Club Golf Resort throughout their stay. Offering garden views from its terrace, this spacious room has a seating area with an iPod docking station, free Wi-Fi, a flat-screen TV with national and international channels, a mini-bar and a Nespresso coffee maker. The large marble bathroom includes a double vanity and Babor toiletries. Featuring a private heated pool, this spacious villa has colonial-style décor and 2 bedrooms. The 2 bathrooms feature Iranian marble and a hydromassage shower or bath. There is also free Wi-Fi, a flat-screen TV, a mini-bar and a Nespresso coffee maker. 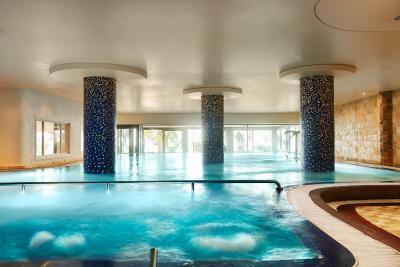 Kids' Club is included in the rate from June until September. This family room has 2 interconnected Deluxe Junior Suites and features a private terrace. It includes a spacious seating area, flat-screen TV and iPod deck. Free Wi-Fi and a mini-bar are available. There is a double room, a twin room and a bathroom with shower and bathtub. This villa has air conditioning, bathrobe and private pool. 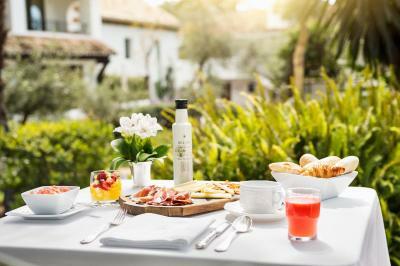 House Rules Marbella Club Hotel · Golf Resort & Spa takes special requests – add in the next step! Marbella Club Hotel · Golf Resort &amp; Spa accepts these cards and reserves the right to temporarily hold an amount prior to arrival. Marbella Club Hotel · Golf Resort & Spa accepts these cards and reserves the right to temporarily hold an amount prior to arrival. Please note the free green fees are only available for guests staying at Marbella Club Hotel · Golf Resort & Spa. 1 green fee per person per stay is included in the rates. Please, contact the hotel in advance for further details. 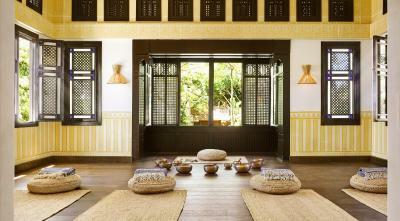 When booking more than 3 rooms , different policies and additional supplements may apply. There was a lingering smell of smoking in the room. Not a sunny room so we really should have moved rooms, which was offered to us but not straight away unf. Food in MC cafe a bit disappointing but was handled to our satisfaction. Needed to call several times to get sth from the reception! Staff forgot to refill things in the villa! Waiters were very slow! Housekeeping were a bit slack with replenishing the teabags & milk. Had to call and ask several times, took ages to arrive ! The room view to nowhere. Expected more from this category. Slightly intrusive staff. It was a surprise that such a property has no good car for the transportation to the airport. The only option - the taxi (can be of any kind - no choice).